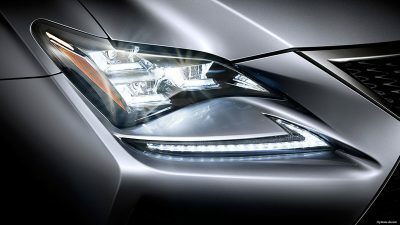 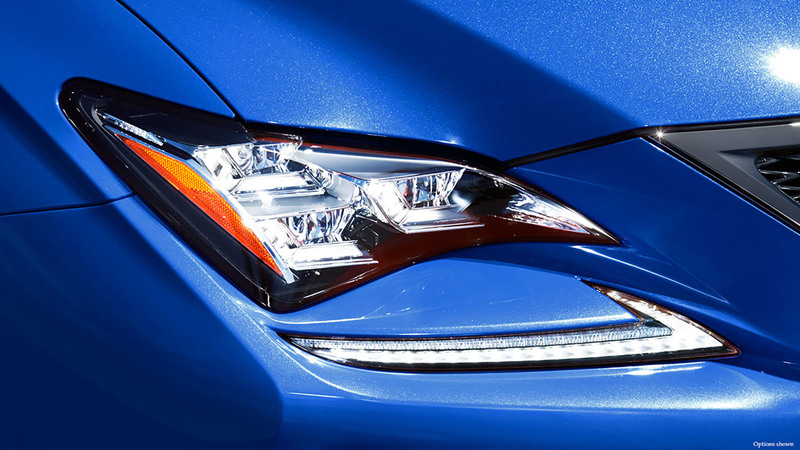 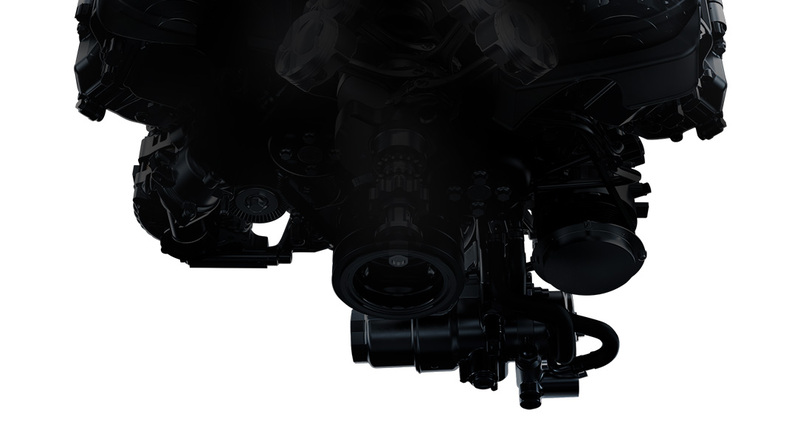 Lighting your way as you tear up the track, the available Premium Triple-Beam LED headlamps with a three-projector design leave an indelible impression. 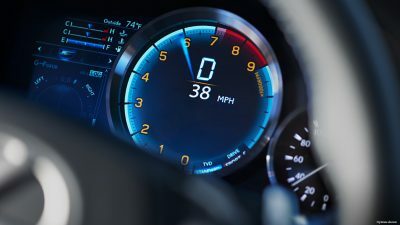 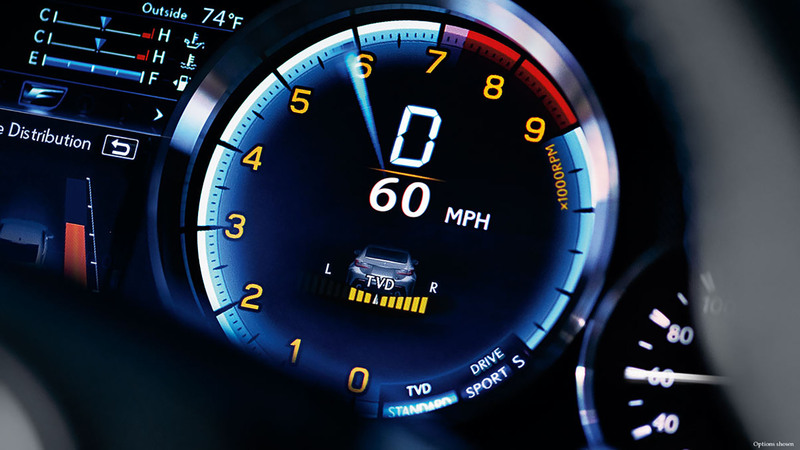 Featuring a highly responsive digital tachometer and a multi-information display, the full-color LCD gauge cluster is race-ready. Aesthetically arresting and geared for performance, the available Performance Package boasts exclusive track-ready materials and drive modes. 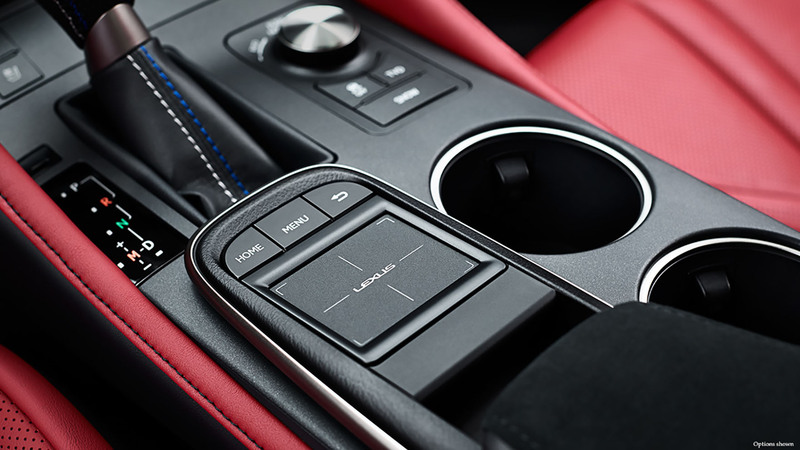 Equal parts functionality and form, the available next-generation Remote Touchpad* is an intuitive way to help stay in command. 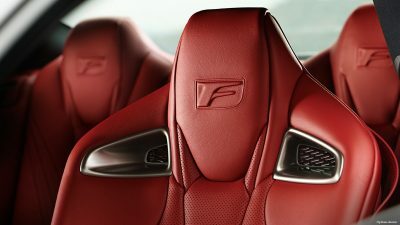 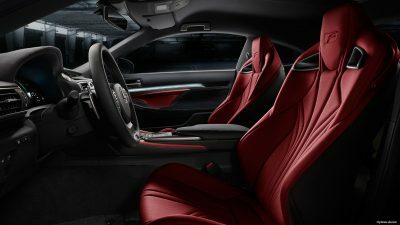 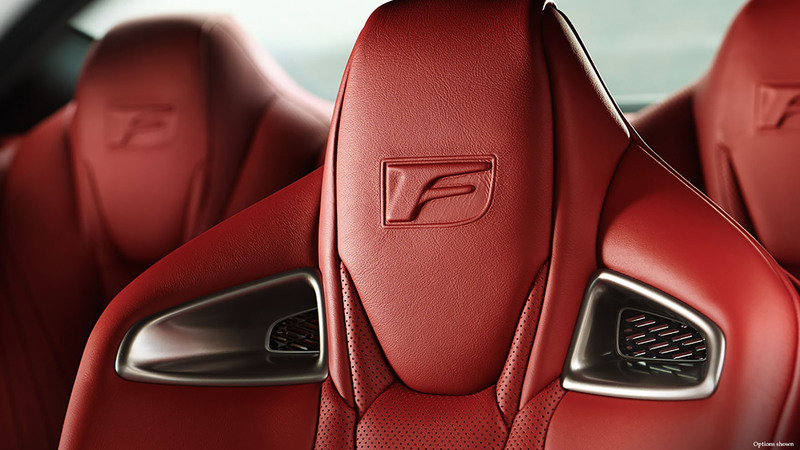 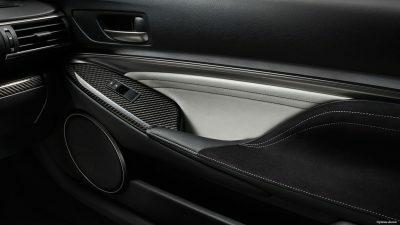 Featuring unique construction and striking design, these deeply bolstered, high-backed front sport seats help keep you firmly planted in turns. 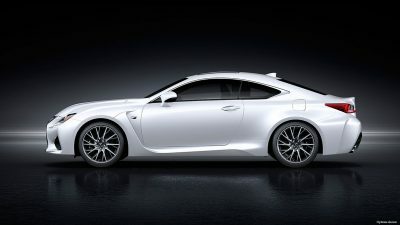 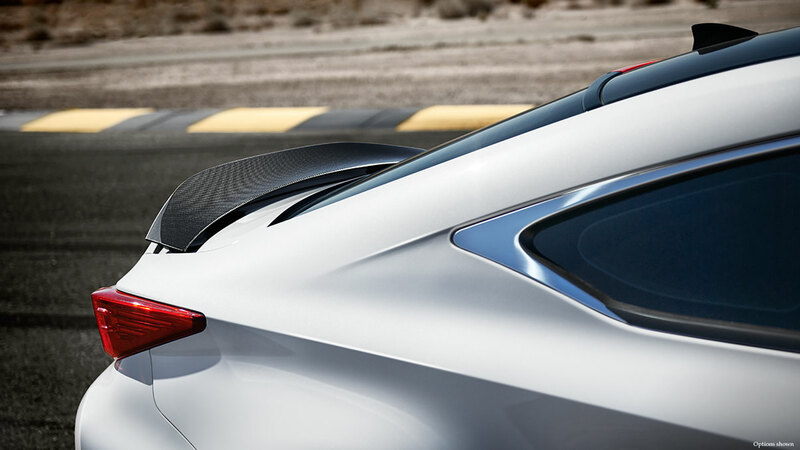 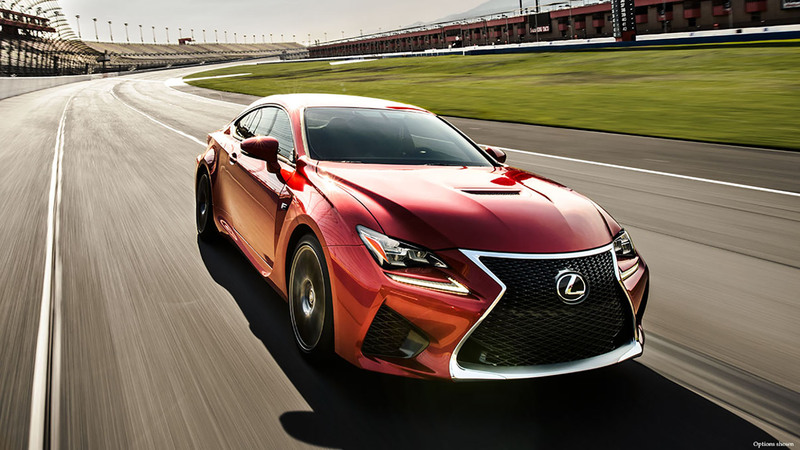 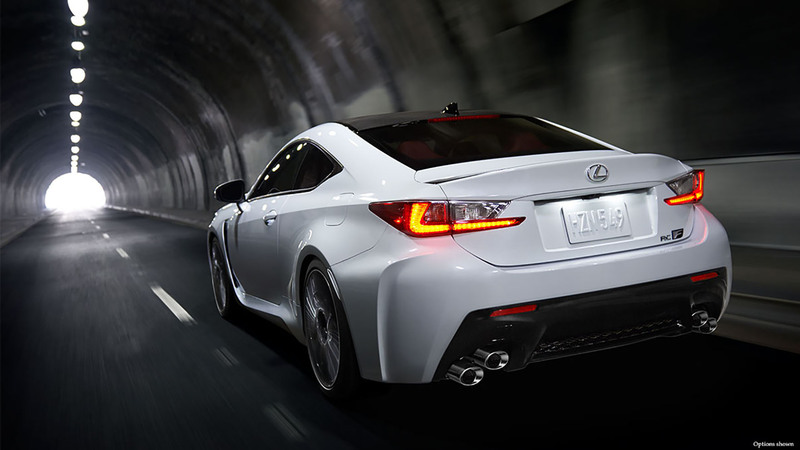 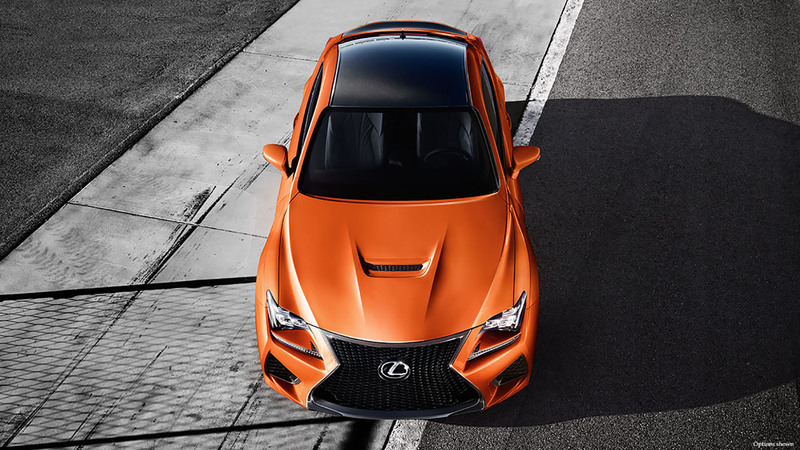 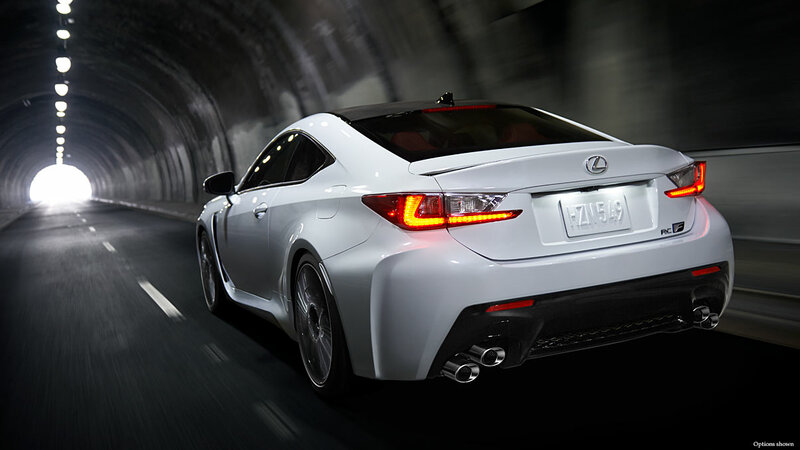 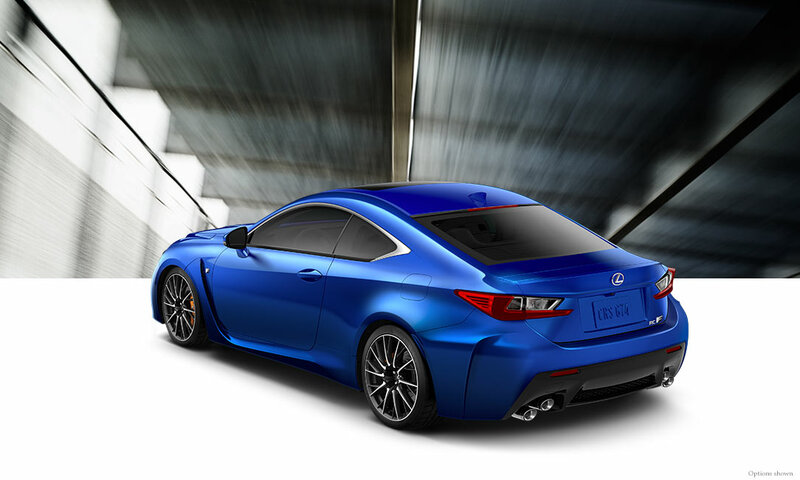 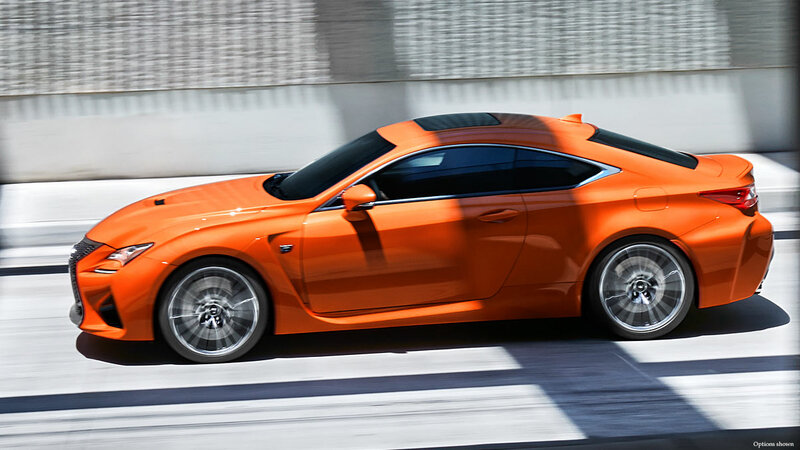 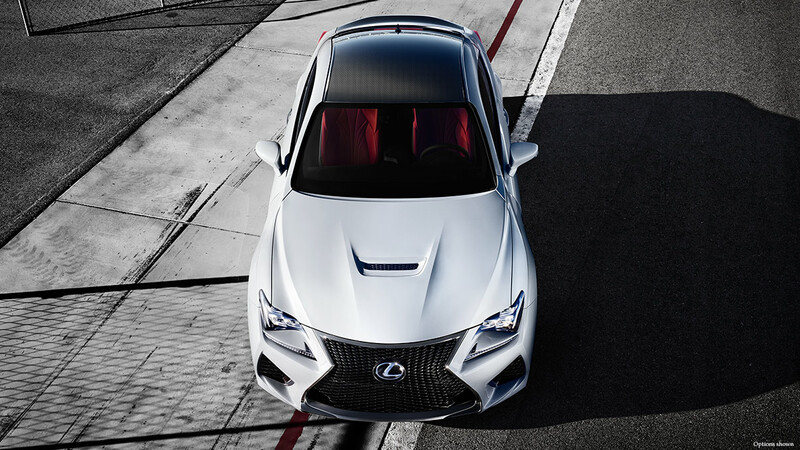 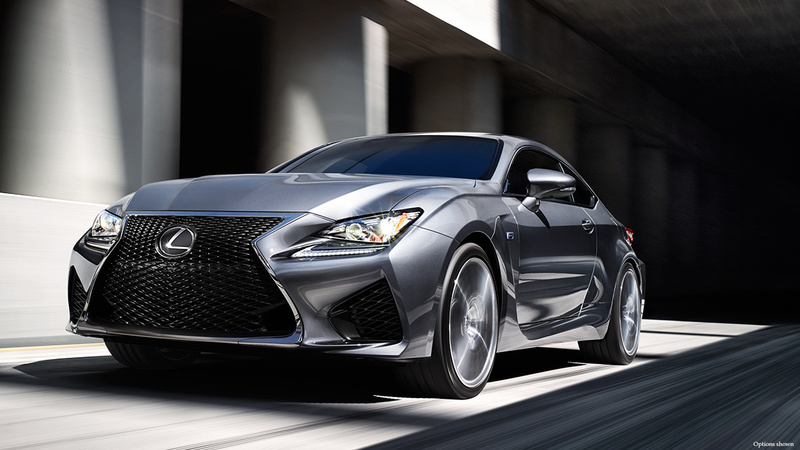 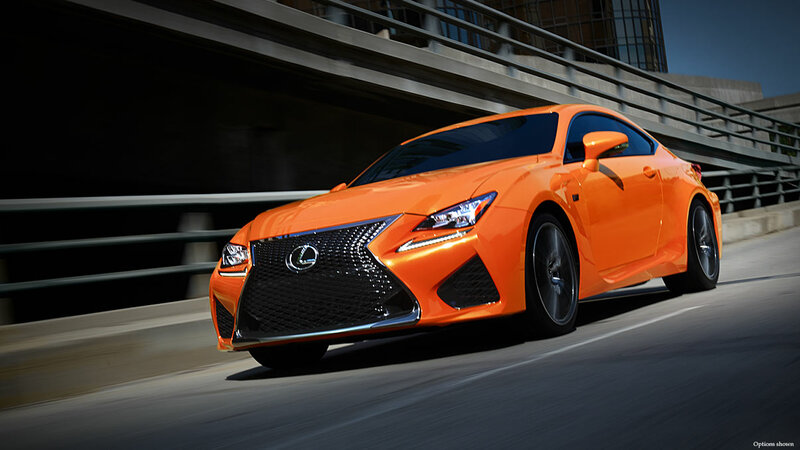 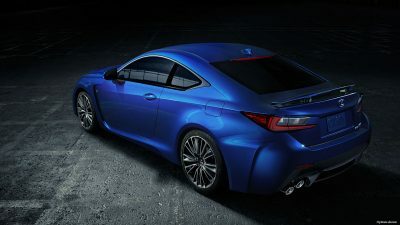 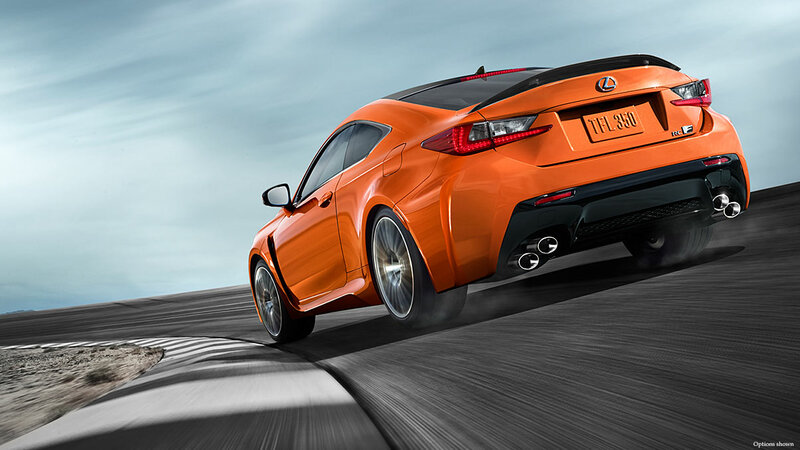 Engineered from the asphalt up, the striking coupe body style is designed to ignite your passion for performance. 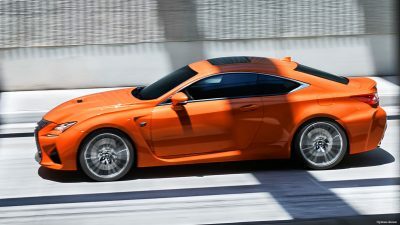 The 467 horsepower* delivered by the naturally aspirated 5.0-liter V8 engine is as impressive as it is exhilarating. 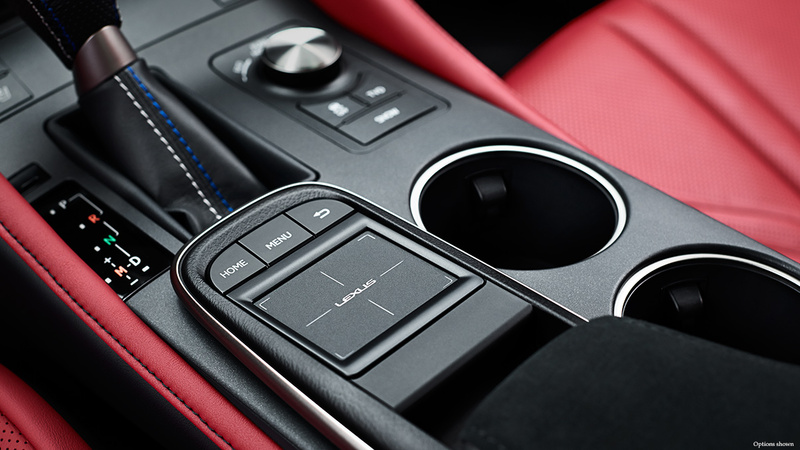 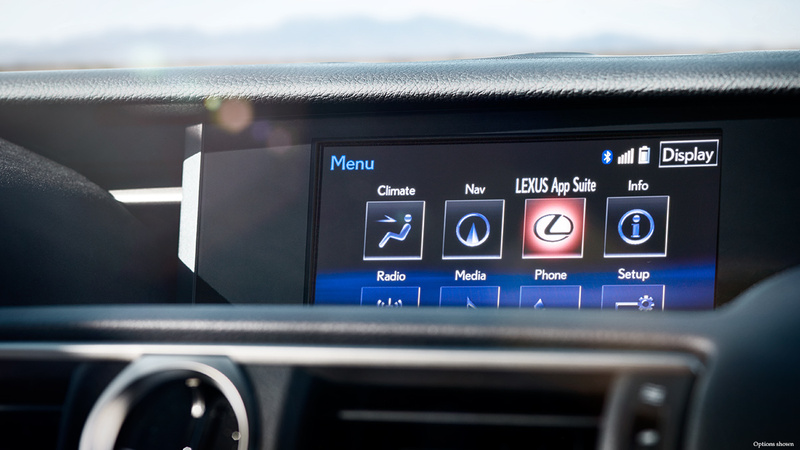 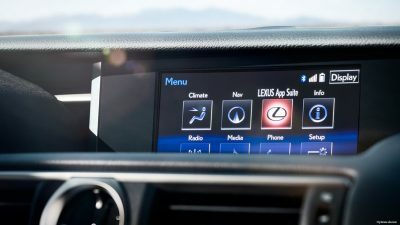 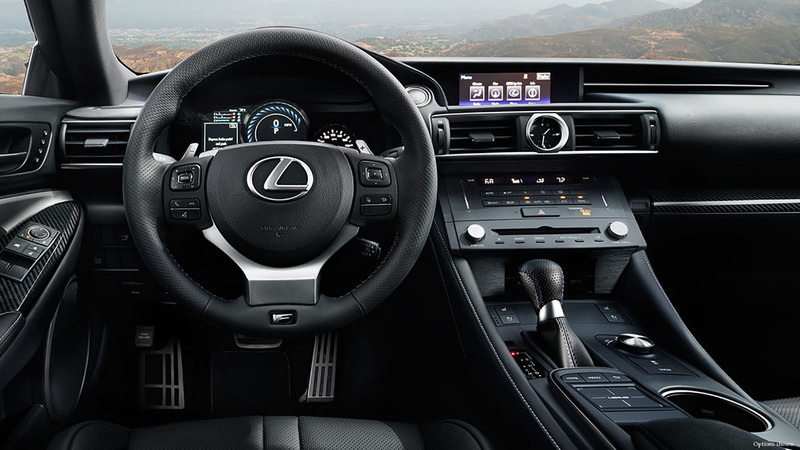 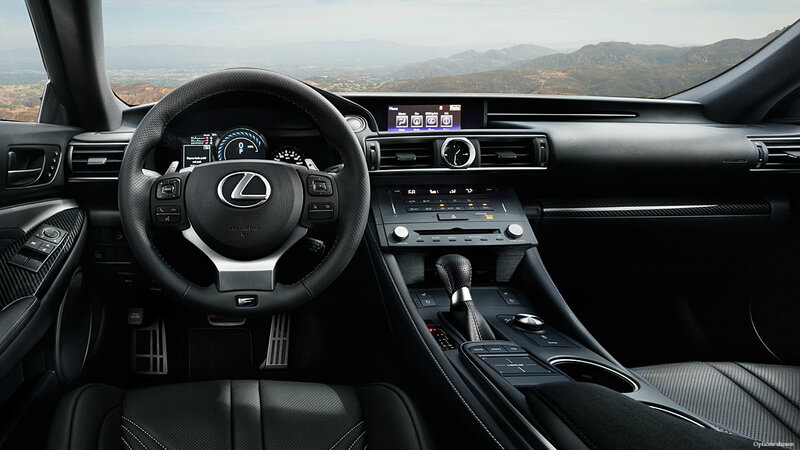 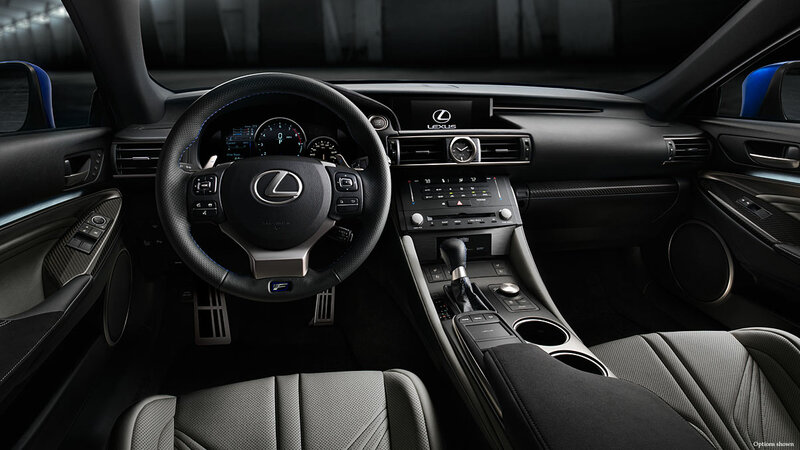 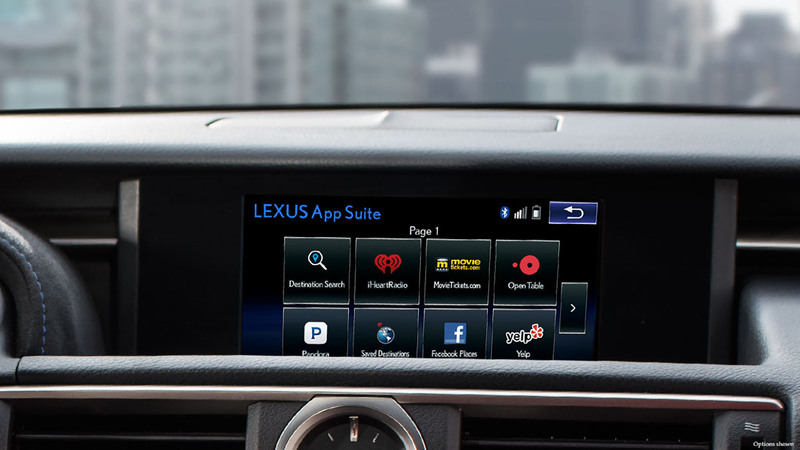 With Lexus Enform,* peace of mind, convenience and entertainment are always within reach. 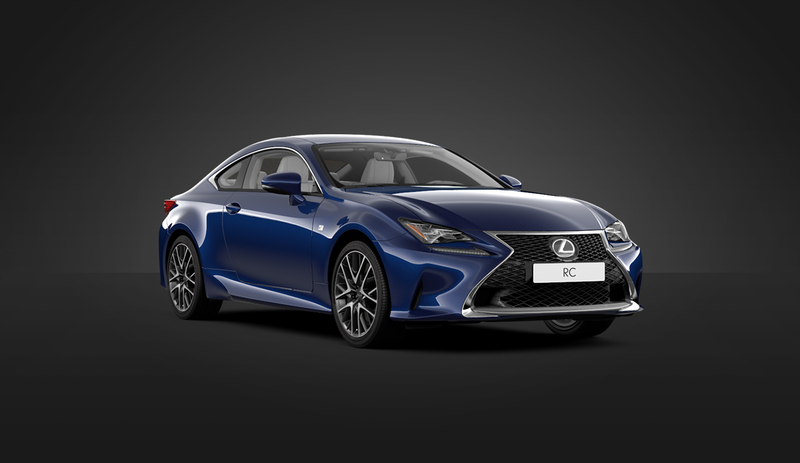 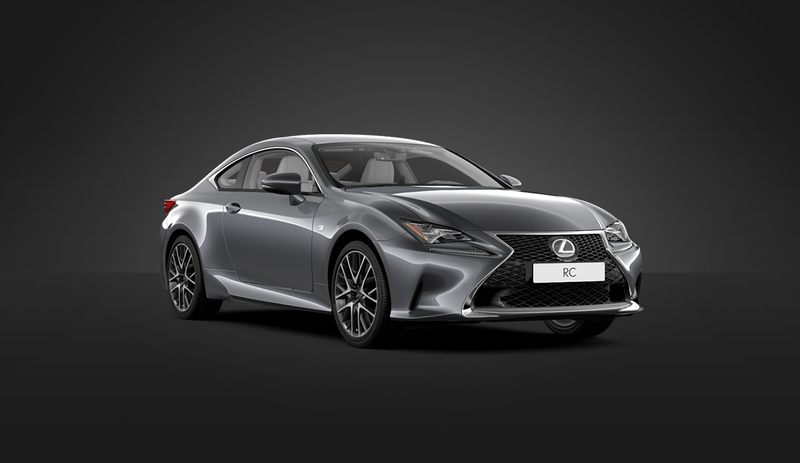 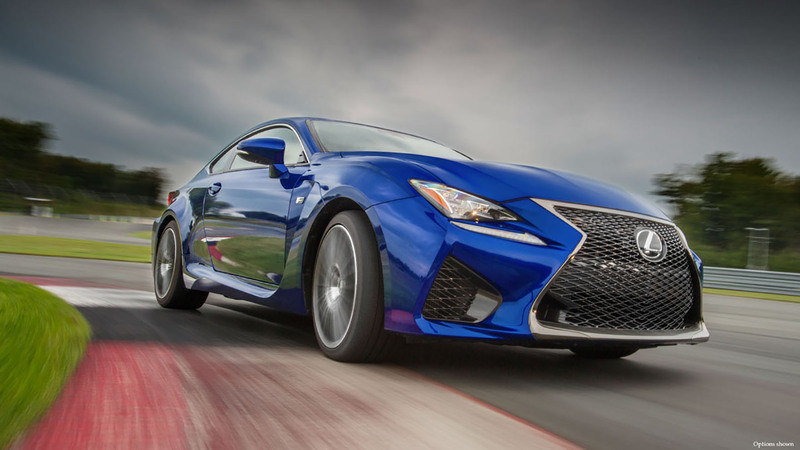 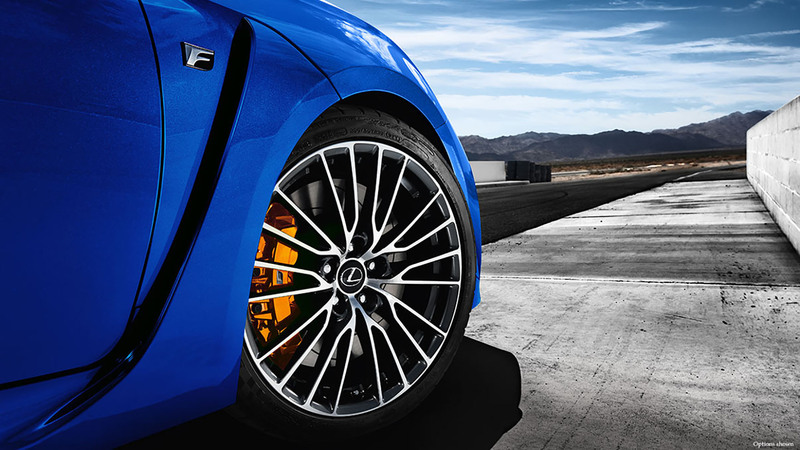 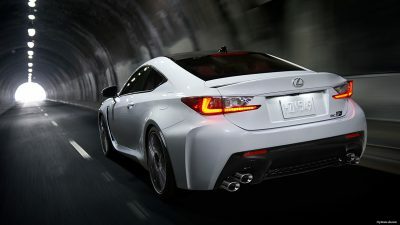 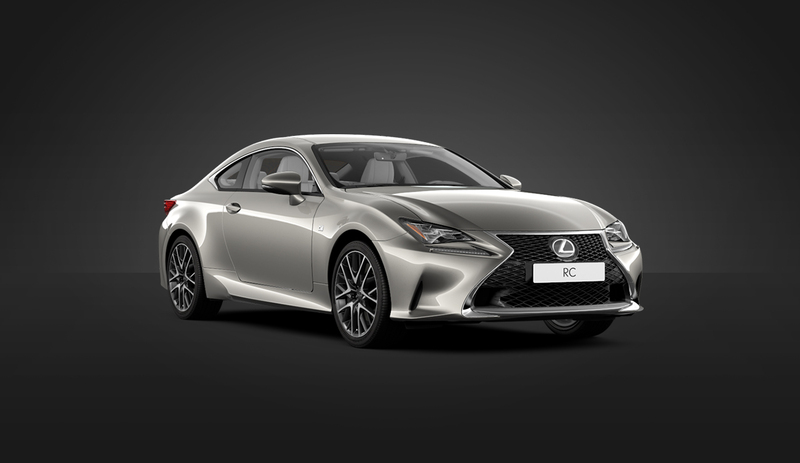 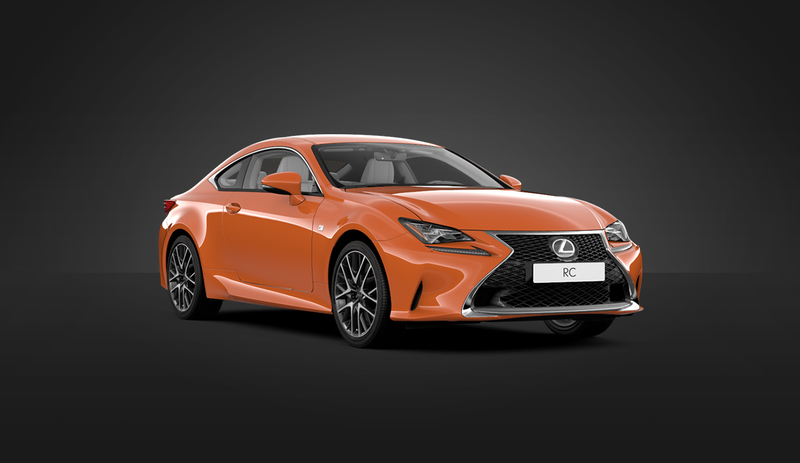 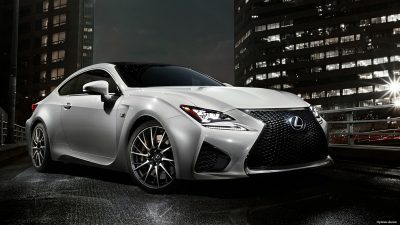 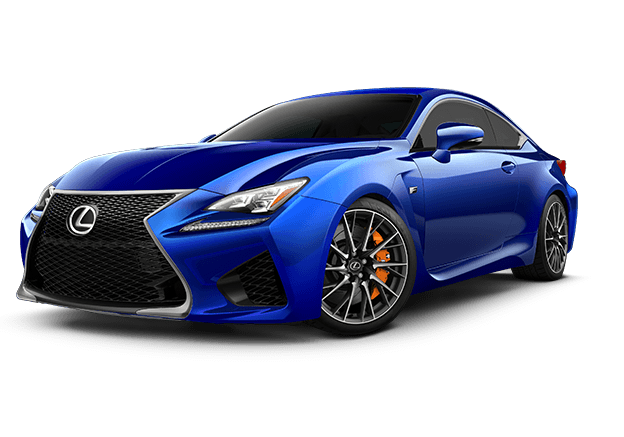 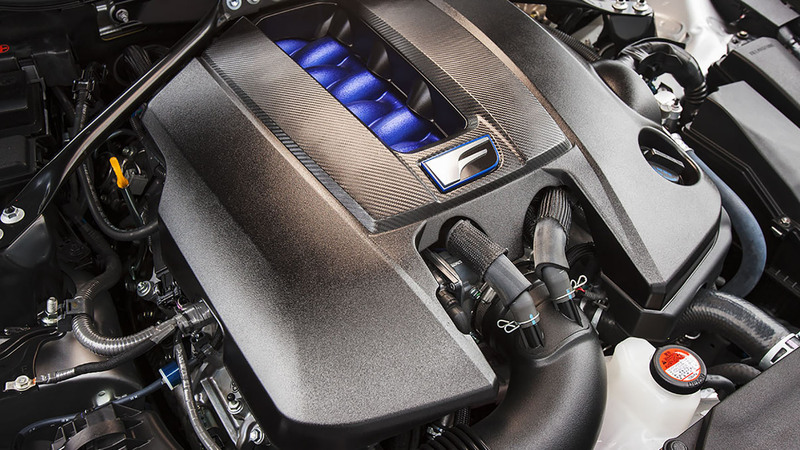 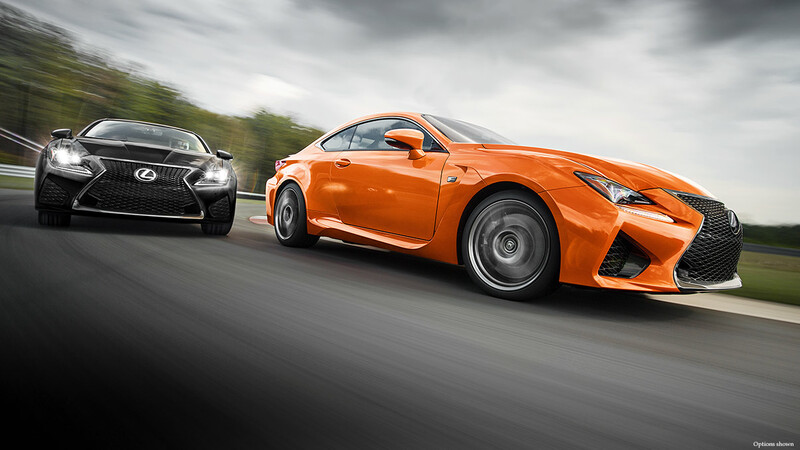 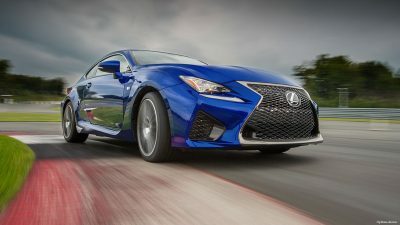 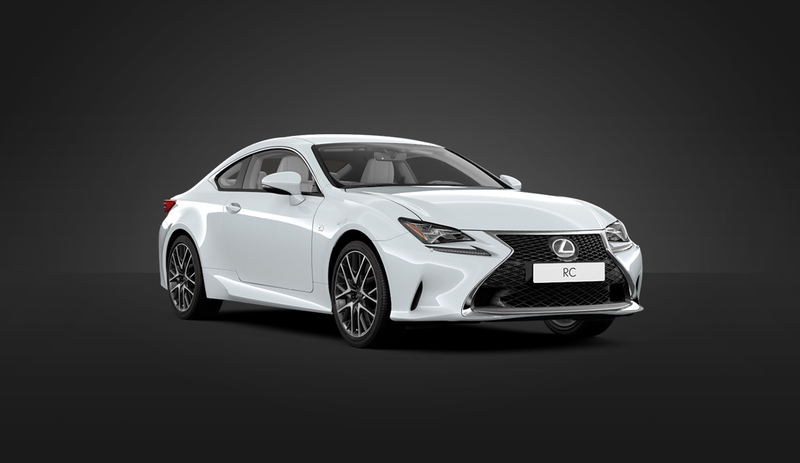 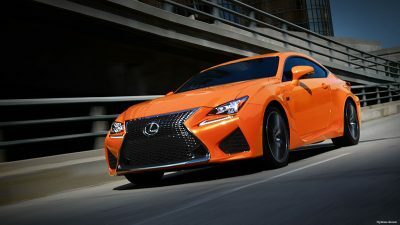 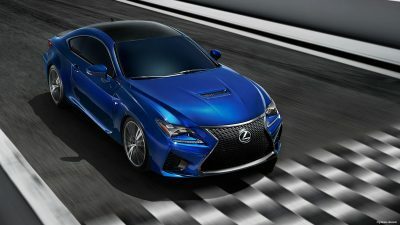 Putting added control into the hands of the driver, the RC F features an available Lexus-first Torque Vectoring Differential.